We talk a lot about “machine learning” at BBB headquarters and also in everyday life. It seems to have become a buzzword these days, but have you ever wondered what exactly is “machine learning”. We have too. For the purpose of this discussion let’s define what it is a focus on how Xero uses machine learning in one new way. Xero describes it as “Machine learning is a type of artificial intelligence that enables computers to find and act on hidden insights without the need for a human”. Well, that is interesting. The article goes on to cite how machine learning is part of everyday life, for example, who of us is surprised when Netflix suggests a movie or show we would like? Or how about ads that come up on your social media that are somehow exact things you need and or want? So machine learning is coming up in many different ways in our lives, why not use machine learning to alleviate some work? Xero thought the same thing! It started its first machine learning project by working on automating the invoice process. 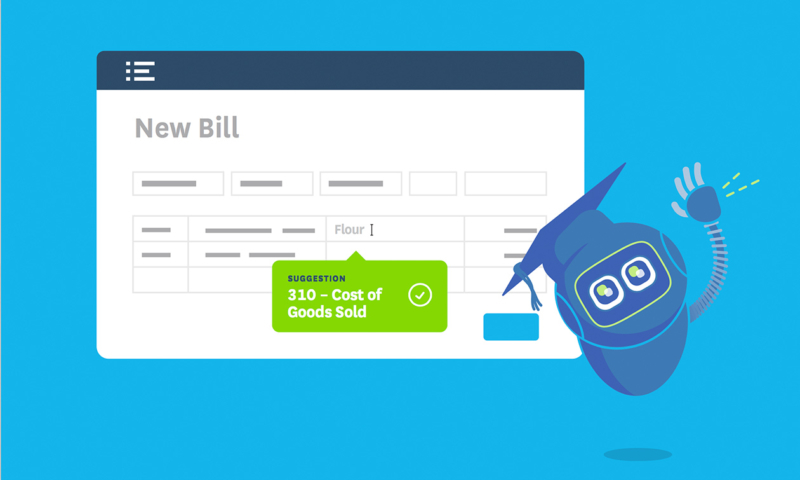 Now has come the second installment of the machine learning project by Xero and now they have released an update that automates the bill entering process. You need to enter at least 150 bills for this feature to come to life and it will become even more accurate as time goes on and more bills are entered. Of course, nothing can replace human intelligence. So use it as your assistant, don’t expect it to do the whole job. We are excited for what more Xero may have in store regarding machine learning and making everyone’s lives easier. We don’t feel threatened or worry about job security because we know that as great machine learning is it will never replace the relationships we have with our clients. If you want to learn more about this subject read one of our staff members take on if robots will replace her job.